"Patrol Auto & Tire Care Inc" specialize in providing on-site oil change services for the busy professional who doesn’t have time to visit the lube shop. Our services are geared to provide the ultimate in convenience for consumer and corporate clients by offering on-site oil change services. Our goal is to ensure that you, our customer, receive outstanding service at a time when it is convenient for you. Our oil change services are available at your home, business, or any location you like. Not only do our services save you the time in your day that it would take to go to the lube shop, we also save you money by providing our services at great, low rates. The oil in your car serves as a protective barrier for your car from dirt, rust, unburned fuel and other elements. Not only do we clean and take out your oil filter and replace your old oil, but we also take a look at some of the other key aspects of your vehicle. 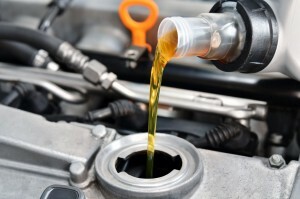 Do you know how frequently you should get your oil changed and engine lubed? To find the answer to this and other important facts you need to know about maintaining your vehicle, call us at 954-572-6587.